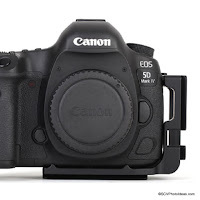 Starting with the introduction of the Canon EOS 80D top Pro-Sumer model and following by the Canon EOS 6D MkII entry FF model, Canon engineers have adopted a new placement for the side connector ports, as well as an articulated LCD screen, making the L Bracket manufacturers life a little more difficult. 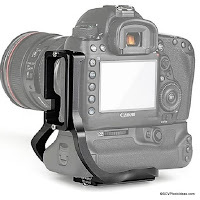 Sunwayfoto with Custom L Bracket PCL-80D for Canon EOS 80D made an attempt to clear the access to the side ports and allow for full articulation of the screen by moving the vertical side plate of the L bracket quite forward. 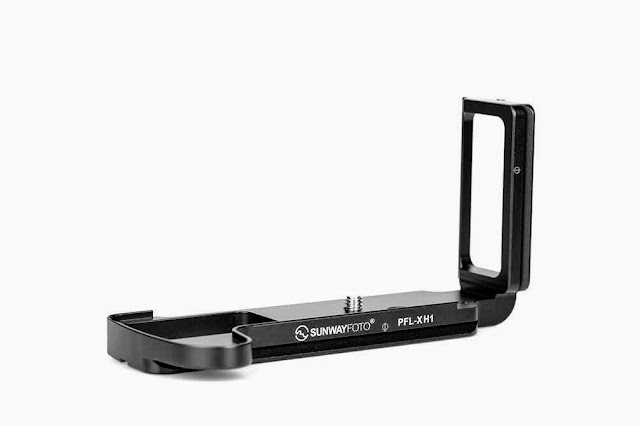 Somehow, although the goal was attained, I was a little skeptical with the success of this L bracket since it was somehow interfering with the lens access by the left hand. On the other hand by being modular, one could take of the vertical side when not needed. The PCL-6DII in question here, is somewhat similar concerning the forward placement of the vertical side, but not so much. 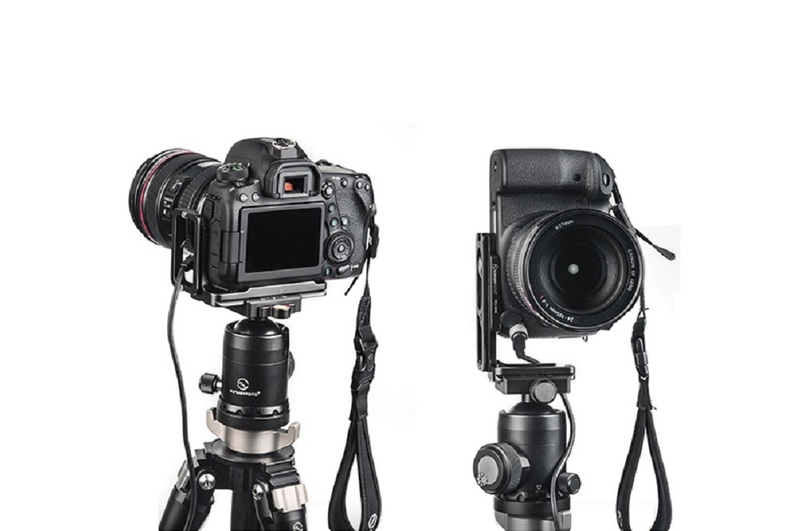 It is of an one piece design, actually placed halfway to the front, making lens manipulation with left hand easier, while allowing access to all side ports. Nevertheless, it allows for the articulated LCD screen to be extended out but sets a limit to its vertical tilting up or down by full 90°. 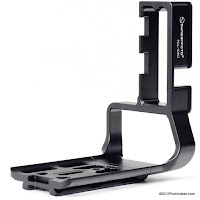 Standard characteristics shared among the Sunwayfoto plates and L brackets are met by the PCL-6DII too. 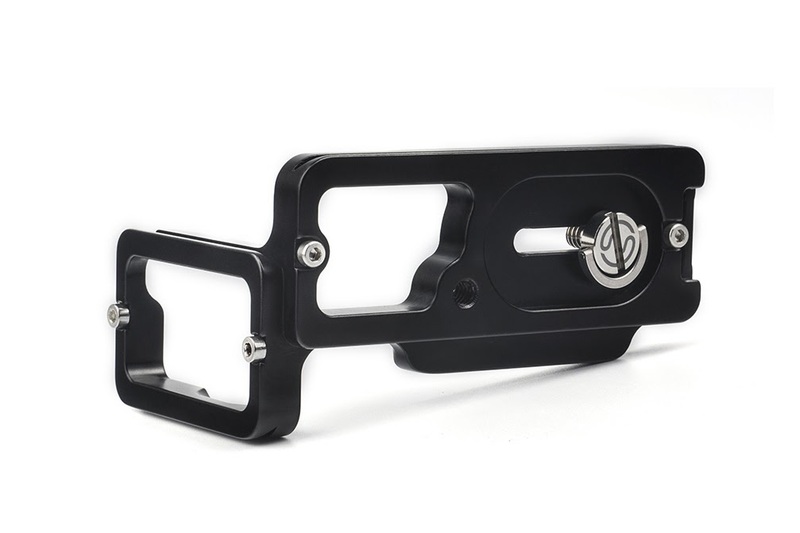 It is precision CNC machining from aircraft-grade aluminium followed by high quality hard coat surface anodizing. 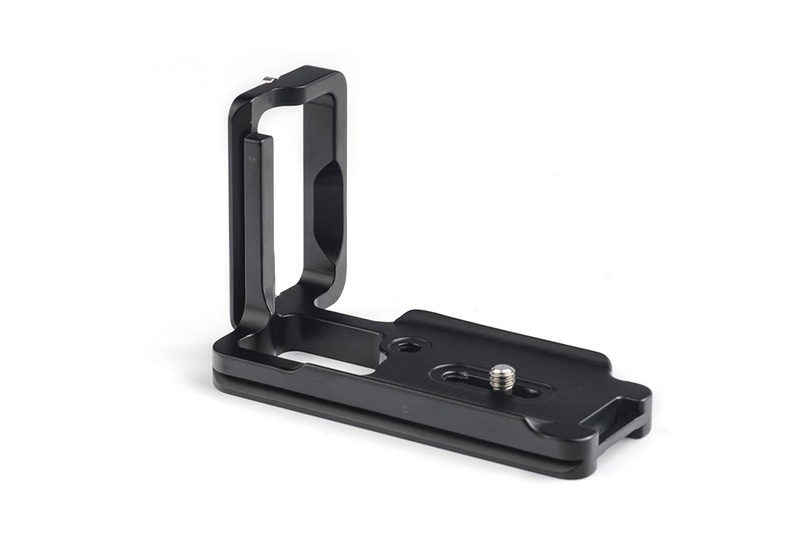 The PCL-6DII L bracket is made of one piece aluminum block maintaining utmost rigidity. The large bottom plate has convex edges at the front and rear covering almost all the camera base preventing the bracket from twisting. An extra 1/4"-20 tapped hole and a strap loop are also there. The vertical plate has all appropriate cuttings to allow for the remote release cable and the side connector ports. As illustrated clearly below, the side plate is placed midway of the base plate width to the front in order to allow for the side ports to be accessed and the LCD screen to be tilted out without need to dismount the L bracket. 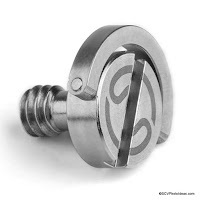 Another feature is that the mounting screw slides within a captive slot, that permits movement of the L bracket away from the camera side in order to accept large plugs in portrait orientation. 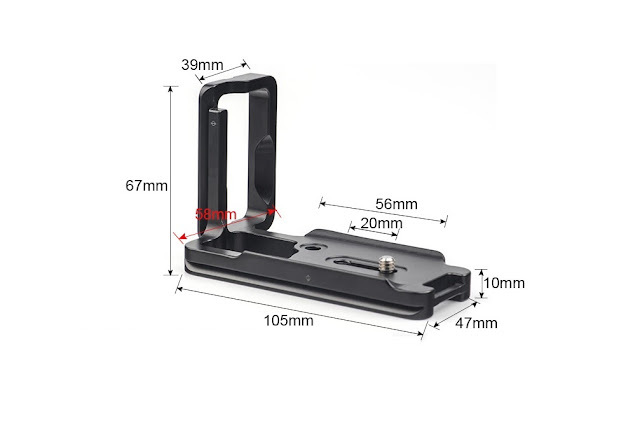 The extra 1/4"-20 tapped hole and the strap mounting hole at one side facilitate for direct mounting on pods and for the attachment of a wrist strap, respectively. 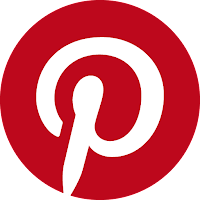 In the next illustration one can find exact dimensions and measurements of the L bracket. As well as the mounting screw captive slot length, which allows the vertical plate to be moved away from the camera side for better clearance of the ports in portrait orientation. 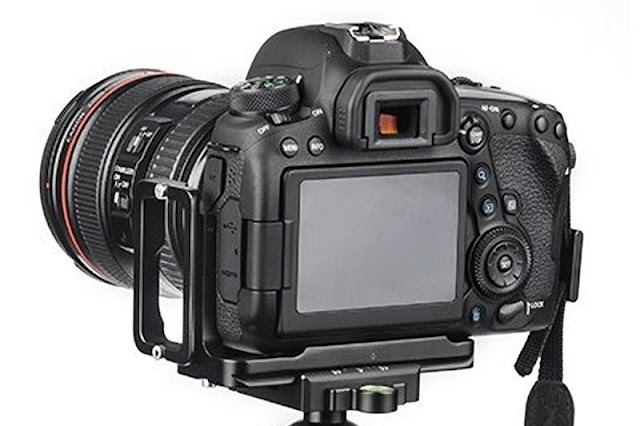 The PCL-6DII fits tightly on the EOS 6D MkII as is very explicitly illustrated below, fulfilling its primary task to allow for the camera be mounted in landscape or portrait orientation without changing the perspective. Sunwayfoto PCL-6DII attached on Canon EOS 6D MkII in landscape and portrait orientation. 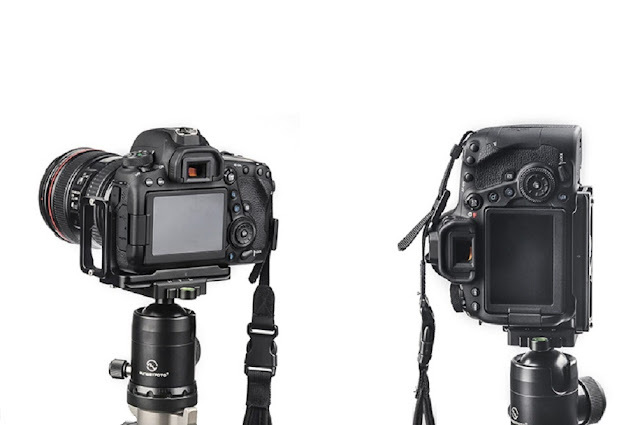 The side connector ports and their respective doors are fully accessible while by moving the vertical side away from the camera side, the new style of front Remote Release Cable port is still functional in portrait orientation. Same goes for USB or other large plugs that have another 2 cm of clearance. 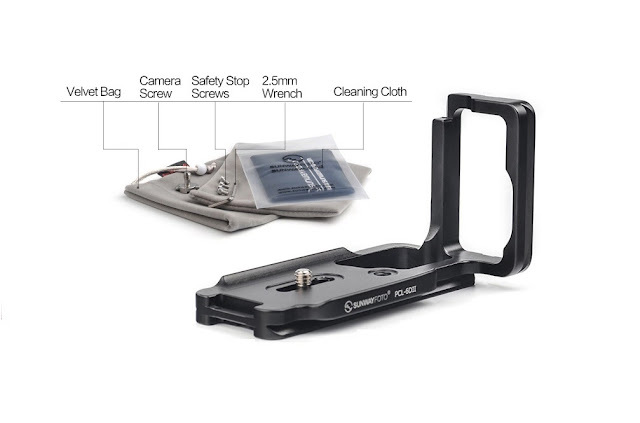 The PCL-6DII package, besides the L bracket it also contains all necessary screws and tools. In this case 4 x M3 safety stop screws for the bottom and side plates, 1 x 1/4"-20 captive screw and 2 x Allen wrenches 2.5mm for the M3 screws and 4mm for the 1/4"-20 screw respectively. 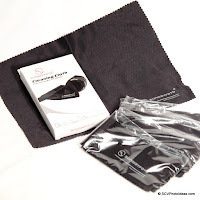 Further than these, there is a velvet draw-string protective bag and a Quality Cleaning Cloth by Sunwayfoto. As of last year the geometry of all Sunwayfoto dovetails has changed. Therefore, the PCL-6DII by following their latest standards is compatible with almost all Arca style clamps including RRS lever release clamps.